What is the Truth about Indiana Credit Repair Companies? Can they really do what they say they can do? Many “credit repair” companies claim to remove negative credit with the click of a button. Their advertisements make bold assertions and money back guarantees; “Bankruptcy, tax liens, judgments, collections, no problem! One hundred percent guaranteed! Credit report 100% cleared in 30 days!” Can they really make such far-reaching guarantees? While some credit repair companies are outright frauds, others are not frauds and they use the dispute process to obtain impressive results. In fact, they delete thousands of negative credit listings every day – regardless of whether or not the listings are technically accurate. In truth, credit repair fraud is less common today than five years ago. Vigorous regulatory sweeps by state and federal regulators have cleared away most of the illegitimate (and some of the legitimate) credit repair companies. Unfortunately, it’s risky to trust anyone to help you repair your credit. It is estimated that credit repair companies have bilked Americans out of more than fifty million dollars. The majority of credit repair companies were started by entrepreneurs with a penchant for marketing. Consumers have flocked to these “credit doctors” only to discover that their advertisements proved far more impressive than their results. Hiring a credit repair company is like playing Russian roulette. Many of them are effective and legitimate, but it is difficult to tell a rip-off from the real article. Not a chance! No credit repair company is so good that it can guarantee a specific outcome. It would be like a defense lawyer guaranteeing that the jury will find his client innocent. Guarantees are a sure sign of credit repair fraud. A warranty, where the credit repair company promises a refund if certain results don’t occur, is a better, more realistic claim. Not surprisingly, the credit bureaus have declared war against the credit repair companies and those selling instruction on how to do-it-yourself. The bureaus lambaste credit repair companies in the media and send anti-credit repair literature to anyone whom they suspect of using credit repair services. The bureaus daringly deny that accurate information can be removed from a credit report. Some time ago, a couple in Indianapolis, IN, who were using the services of a legitimate credit repair company, received a scathing letter of reproach from their local credit bureau. The letter chastened them for relying on the “unethical” methods of credit repair, and pointed out how all their efforts had come to nothing. “As you can see,” the letter chastened, “your credit reports remain unchanged.” The couple was puzzled because almost all of their many negative credit listings, including a bankruptcy, had long since been deleted. 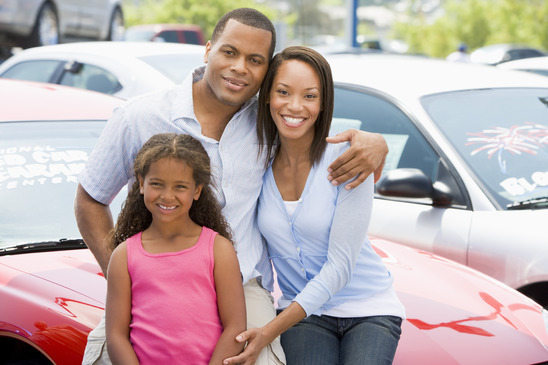 The simple truth is that you don’t have to endure bad credit for seven to ten years. It is possible to repair your credit within a much shorter time. However, you decide to address your credit challenges, realize that regardless of what you may hear in the news media, thousands before you have sought help and repaired their credit. They can show you their homes, cars, and credit cards. Despite the newspaper articles, TV reports, and other credit bureau propaganda to the contrary, you can repair your credit. We educate consumers about Credit! And our niche is helping consumers navigate through their credit reports and their dispute process to achieve the American dream. Rather it’s to keep a job, get better insurance rates, get a new home, a new car or just to have a good financial future.